A popular drug used to treat early Alzheimer’s disease may delay slightly the onset of the devastating memory disorder in those with a condition called mild cognitive impairment, researchers report. It is the first time a medication has been shown to be possibly effective against the onset of Alzheimer’s, although results are considered preliminary and more study is needed. The findings were based on a study of Aricept (generic name donepezil), one of the currently prescribed drugs for Alzheimer’s disease, in people with mild cognitive impairment. Mild cognitive impairment, or MCI, is a more severe form of memory loss than the ordinary forgetfulness that strikes many as they age. However, symptoms of MCI are nowhere near as severe as the profound memory impairment, loss of reasoning skills, and personality changes that accompany Alzheimer’s disease. Some but not all people with MCI go on to develop Alzheimer’s disease. Some studies show 10 to 12 percent of people with MCI go on to develop Alzheimer’s disease each year. The study involved 769 people with MCI at 69 medical centers in the U.S. and Canada. One third were given Aricept. Another third were given vitamin E, a popular cell-protecting antioxidant that some research suggests may protect brain cells against damage from an excess of naturally formed compounds called free radicals. The remaining third received a look-alike dummy pill (placebo). Each group was given memory tests and other exams at the start of the study and then every six months. They continued to take the pills for three years, but nobody knew who was getting which type of pill. For the first 18 months, those study volunteers taking Aricept were, as a group, less likely to develop severe memory loss and other symptoms of Alzheimer’s disease. In contrast, those taking vitamin E or a placebo did not appear to be protected against progressing to Alzheimer’s. The benefits of Aricept, however, did not last. After three years, at the conclusion of the study, all three groups had equal rates of progression to Alzheimer’s disease. Researchers estimate that Aricept slowed progression from MCI to Alzheimer’s, on average, by about six months. The drug, however, did not permanently prevent the worsening of memory. While the results are modest, they are among the first to suggest that very early treatment may help some people in the earliest stages of mental decline. Further research and follow-up is called for. Aricept, which goes by the generic name donepezil, is one of several drugs known as cholinesterase inhibitors that produce modest benefits in some people with mild to moderate Alzheimer’s. However, benefits may be very slight, and the drug does not halt the relentless downward course of the illness. Other drugs in the group include Exelon (rivastigmine) and Reminyl (galantamine). The findings were presented at an international Alzheimer’s disease conference in Philadelphia. 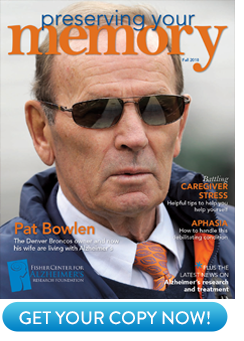 For more on the drug treatment of Alzheimer’s disease, visit www.ALZinfo.org. Dr. Ronald L. Peterson, neurologist, Mayo Clinic, Rochester, Minnesota. Presentation on July 18, 2004, at the Ninth International Conference on Alzheimer’s Disease and Related Disorders, Philadelphia, PA.